So Skype was going to kill the loved version 7 until it wasn’t going to kill the loved version 7. However, now Skype is going to kill the loved version 7 again. Makes sense right? In todays, post Alert: The Death Of Skype 7 Again we will review the announcement from Microsoft announcing the end of Skype version 7 and the upcoming mandatory upgrade to Skype version 8. Then in July 2018, Skype announced that all users would be required to move to the “next generation” of Skype. In the Microsoft announcement, it said that all users would need to move to Skype 8 on September 1st, 2018. Then the user push back happened. 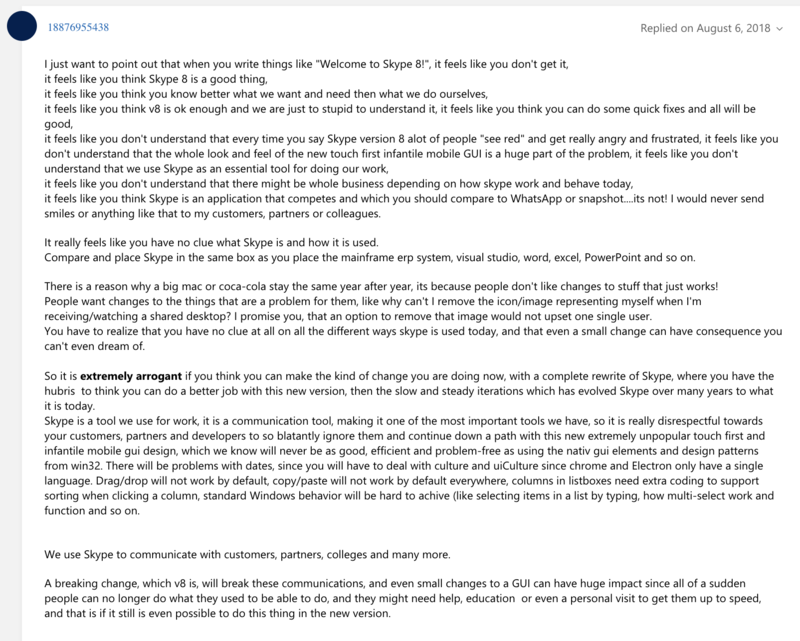 In one of many examples, you can see in this Microsoft post, dozens of comment pages from users who all basically told Microsoft what it can do with itself. So after all the pushback Microsoft gave Skype 7 extended life. That is until now….. 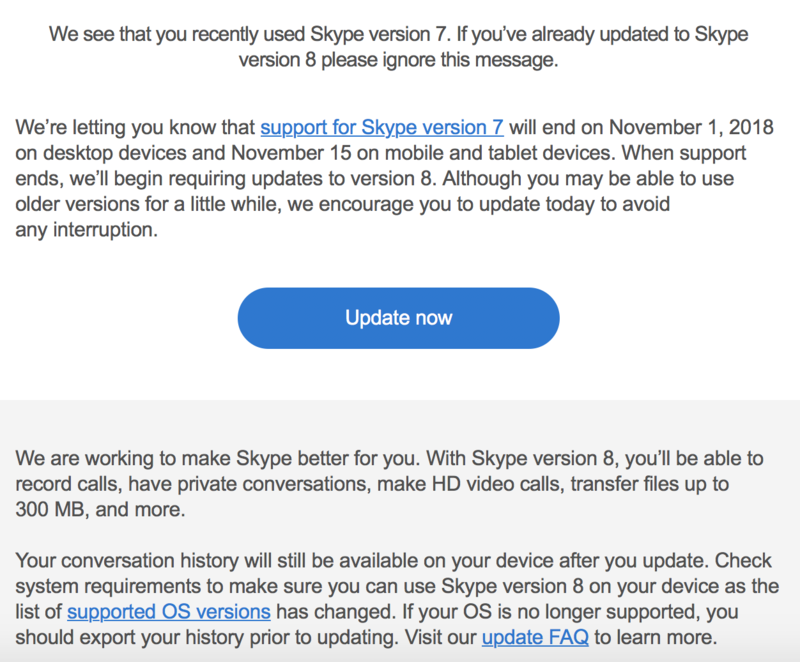 So on October 10, Microsoft has now started sending out email to Skype users that it sees as still using version 7 to warn them that Support for Skype Version 7 will end on November 1 (desktop) / November 15 (mobile). The email they are sending ….. So the end of Skype version 7 is coming. For those wanting to see details, you can visit the Update FAQ page or the Supported OS Version page for Skype.